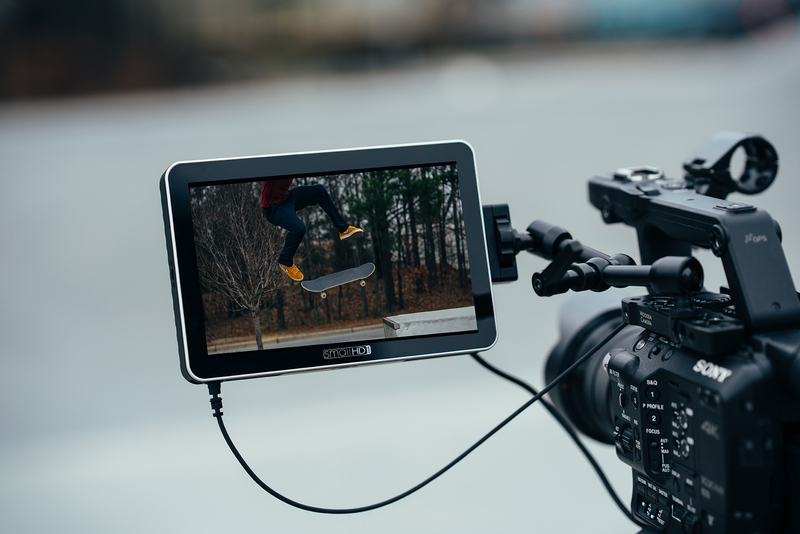 If a built-in LCD or even a 5" monitor is a bit too small for your production needs, there's good news: SmallHD has updated its FOCUS on-camera monitor line with the new FOCUS 7, a bright 7" IPS LCD monitor that supports up to UHD 4K video input and has a compact, lightweight profile that fits right in on top of a DSLR, mirrorless camera, or even a gimbal rig. 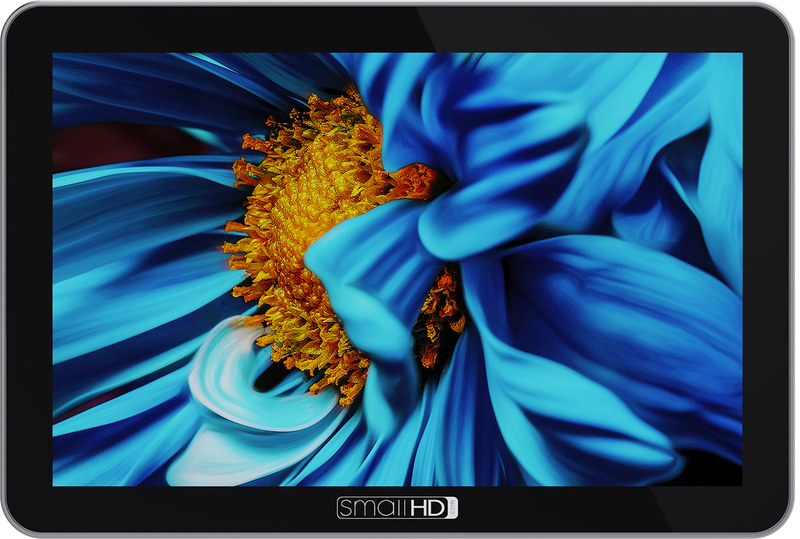 The monitor maintains many of the popular features of its predecessor, such as a touchscreen with SmallHD's Swipe OS firmware, an SD card slot for loading custom LUTs, and it supports 10-bit color depth and up to 4K30 video input. Improving on the previous model, the FOCUS 7 features a 7" active area, 1920 x 1200 resolution, a full-size HDMI type A port, and 1000 cd/m2 brightness so you can see clearly in daylight conditions without a sun hood. The display is also thinner and lighter, weighing less than one pound, so it will fit atop your mirrorless or DSLR camera without extra bulk. Another enhancement is its ability to be powered by one or two L-series batteries by way of its dual built-in mount, rather than just one battery like its predecessor. The FOCUS 7 features a DC barrel output to connect a dummy battery adapter to power your camera, which is especially handy when cabling and camera weight can be an issue on a run-and-gun shoot. Dummy battery adapters for select Sony, Panasonic, Canon, Nikon, and Fujifilm cameras will soon be made available for purchase. There are also versatile mounting options, with four 1/4"-20 mounting threads on the bottom, sides, and back of the monitor, so you can mount it in any orientation you'd like on top of your camera, cage, or rig. 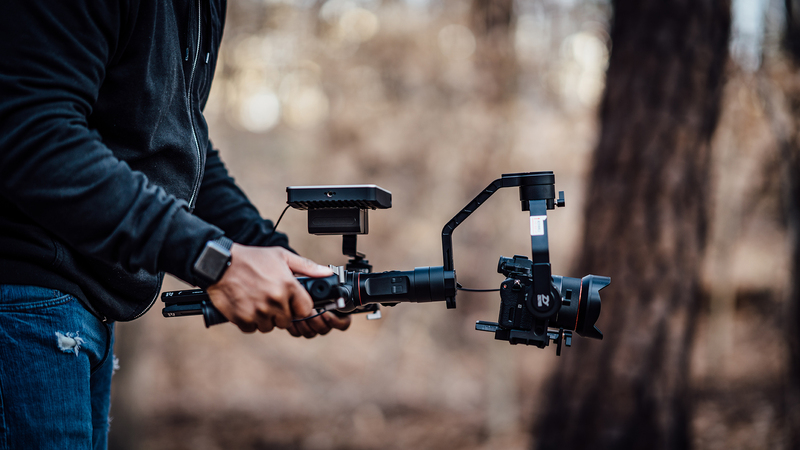 Its aluminum bezel and impact-resistant housing allow you to use the monitor on gimbals and in action situations without the worry of damaging the unit. Another handy feature for those who use Log profiles is the ability to load custom LUTs via the monitor's SD card slot or via the micro-USB port from an external drive. 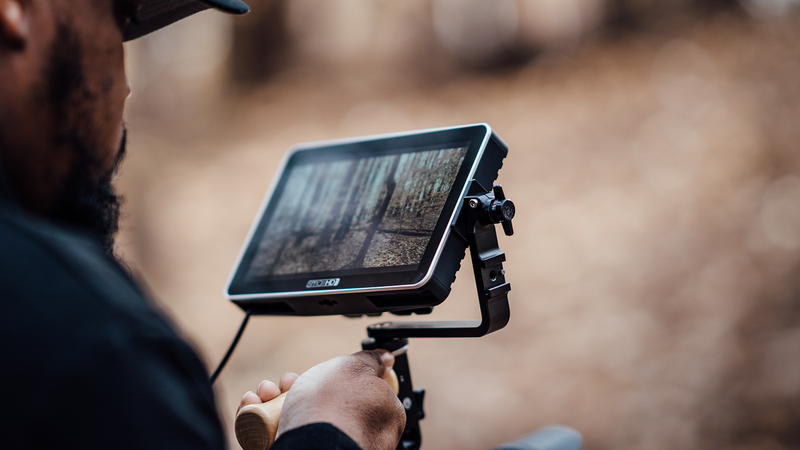 The FOCUS 7 also allows you to capture stills with its built-in Capture Tool installed with SmallHD's Swipe OS interface software. 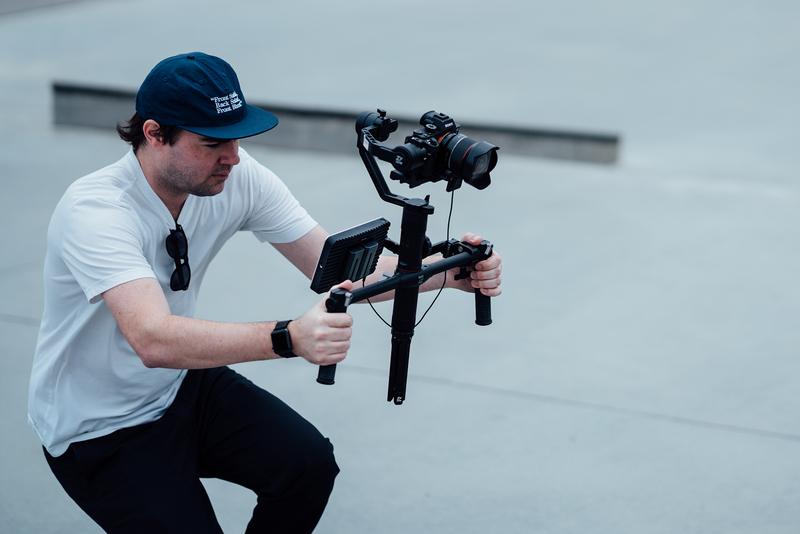 Swipe OS offers an extensive collection of easy-to-use tools for your production needs such as pixel zoom with pinch-zoom gestures, underscan, guides, anamorphic de-squeeze, focus assist, peaking, zebra, waveform, histogram, vectorscope, and more. Along with the FOCUS 7, Small HD has released a line of accessories to support the monitor such as a wireless FOCUS 7 model with a built-in Teradek Bolt 500 receiver, a clear screen protector, a matte screen protector, a tilt arm, a tilt arm accessory pack, a sun hood, and accessory packs with power and mounting options for Blackmagic cameras, Cine cameras, and Gimbals. If you're looking for a low-profile, reasonably priced professional on-camera monitor for your mirrorless or DSLR camera, check out SmallHD's FOCUS 7 monitor and its line of accessories on the B&H Photo Website or in the B&H Photo SuperStore. Please feel free to share your experiences using the FOCUS 7 monitor and its accessories, below.